Lovers of classic, all-American prep have been turning out en-mass for recent sample sales. On Sunday, the police were called to regulate the line at Tory Burch; today, a tipster sends word that hundreds are waiting to enter the Ralph Laurensale at Soiffer Haskin on West 33rd Street. 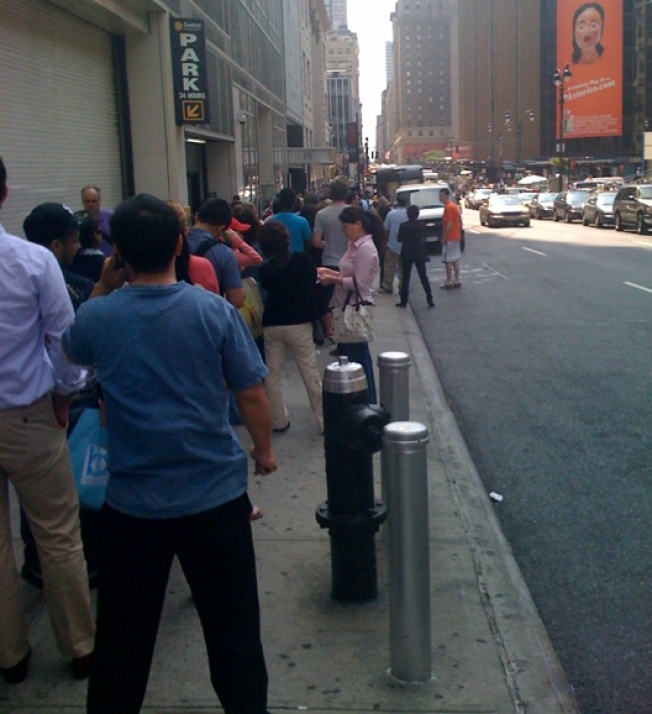 A tipster, who sent in a photo of the line to enter, writes that it hasn't moved at all in the last 15 minutes. Is it worth the wait? Perhaps not. An early review of the sale, via Twitter: "Yawn."